Trustees after the signing of the Terms of Negotiation with the Minister for Treaty of Waitangi Negotiations at Parliament. 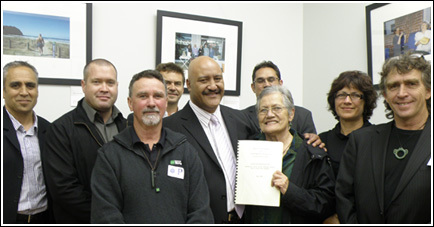 It was with great pride that a delegation of the Ngai Tai Ki Tamaki Tribal Trust Board, with our General Manager, Barry Soutar and Aidan Warren, Legal Counsel, travelled to Wellington to sign the 'Terms of Negotiation' with the Minister for Treaty of Waitangi Negotiations, the Honorable Christopher Finlayson. James Brown with Minister for Treaty of Waitangi Negotiations, the Honorable Christopher Finlayson. 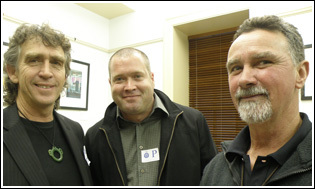 Laurie Beamish, Billy Brown and Stephen Zister.